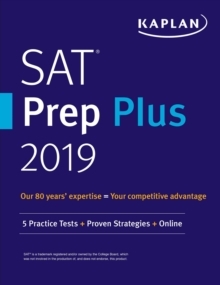 Kaplan's ASVAB Prep Plus 2018-2019 features proven strategies and realistic practice for all sections of the ASVAB and AFQT. 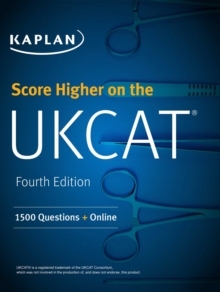 This edition includes flashcards, expert videos, and an expanded online Quiz Bank to help you face the test with confidence. 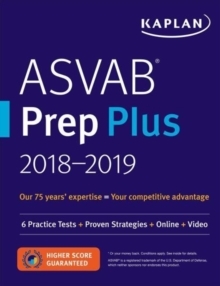 Kaplan is so certain that ASVAB Prep Plus 2018-2019 offers all the knowledge you need to excel at the ASVAB that we guarantee it: After studying with the online resources and book, you'll score higher on the ASVAB--or you'll get your money back. With ASVAB Prep Plus 2018-2019 you can study on-the-go. 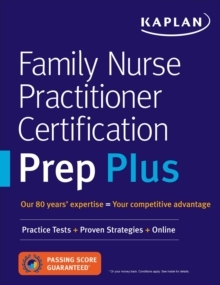 Log in from anywhere to watch video lessons, complete quizzes and take practice tests that are optimized for your mobile device. The Most PracticeFlashcards to help you reinforce important concepts for the technical subtestsSix introductory math videos that review basic concepts commonly seen in the Arithmetic Reasoning and Mathematics Knowledge subtestsMore than 1,850 realistic practice questions with explanationsSix full-length ASVAB practice tests with detailed explanations: 3 online and 3 in the bookCustomize your practice with an online Quiz Bank that lets you select problems by topic and difficultyTear-out math and verbal study sheets for portable review, and an extensive word list to help you build your vocabularyDetailed subject review, including targeted strategies for vocabulary questions and math problem solvingExpert GuidanceComprehensive content review and expert methods for tackling all technical topics: science, electronics, auto/shop, mechanical information, and object assemblySpecific strategies for mastering the Computer Based Test formatKaplan's expert psychometricians ensure our practice questions and study materials are true to the test. 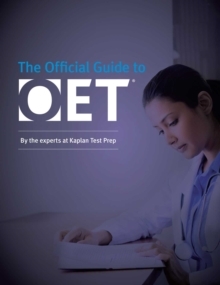 We invented test prep--Kaplan (www.kaptest.com) has been helping students for almost 80 years. Our proven strategies have helped legions of students achieve their dreams. 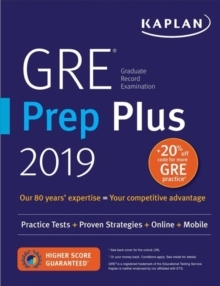 The previous edition of this book was titled ASVAB Premier 2017-2018 with 6 Practice Tests.